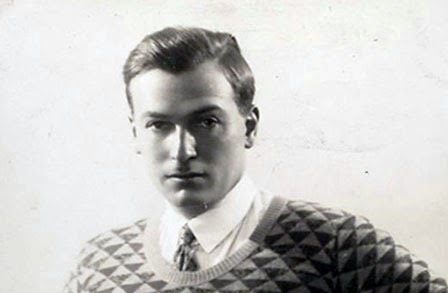 Richard Aldington (1892 - 1962) (pictured) was a founding poet of the Imagist movement. He was also a famous novelist, critic, essayist, and translator. His earlier poems were influenced by Greek mythology and Japanese art. His later work reflects his bitterness and disillusionment after serving in the British Army during World War I. Additional biographical information may be found here http://www.poetryfoundation.org/bio/richard-aldington and here http://en.wikipedia.org/wiki/Richard_Aldington. "Images" was published in 1916, the year Aldington joined the army in the middle of World War I. One may assume that it was composed a year or two before its publication, before his experience as a soldier changed his outlook on life forever. The poem is divided into six numbered parts. Each is a haiku or tanka-like mini love poem. I suspect that fellow Imagist H. D., whom Aldington wed in 1913, is the subject of the poem and the Muse behind its lyrical, romantic words and mood.